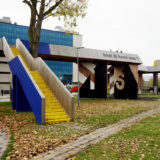 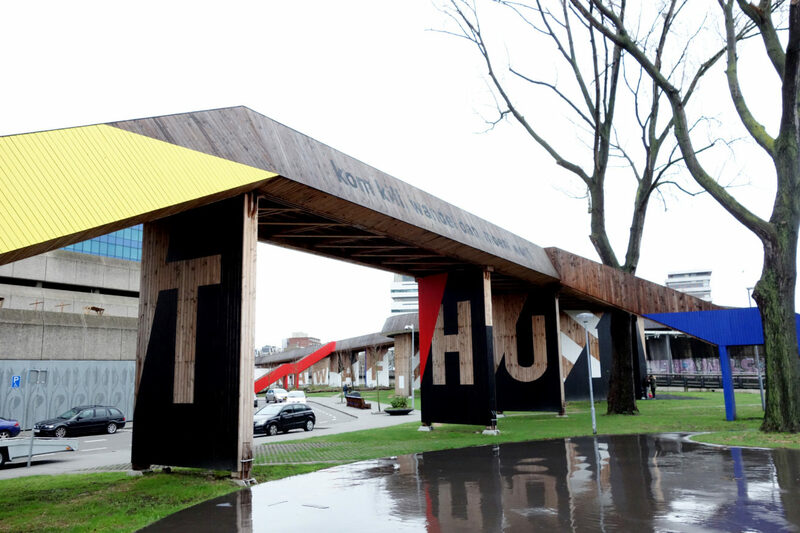 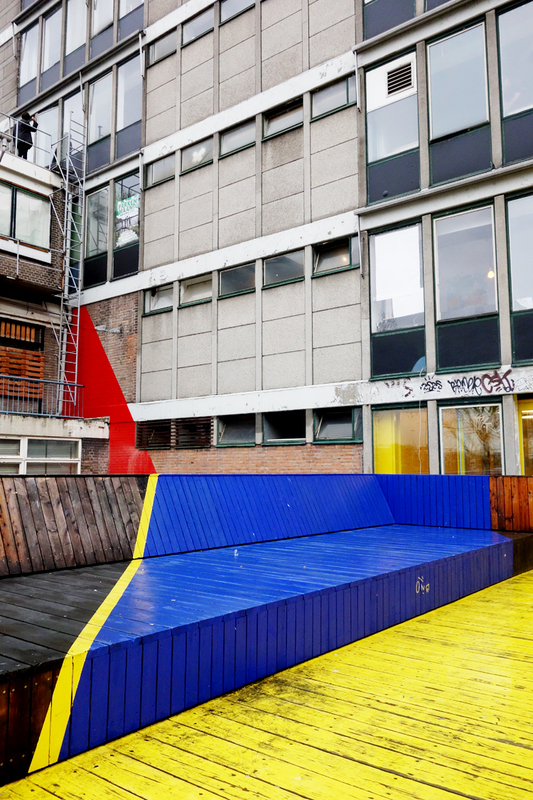 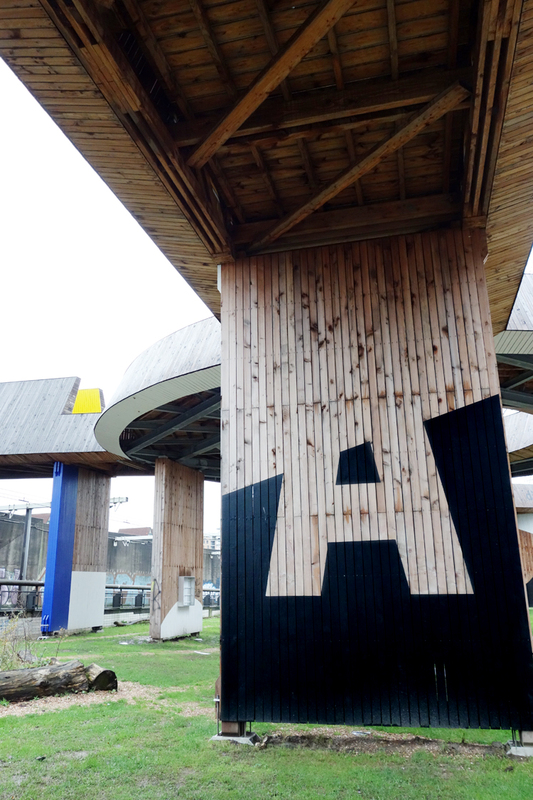 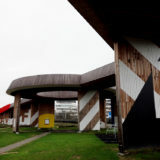 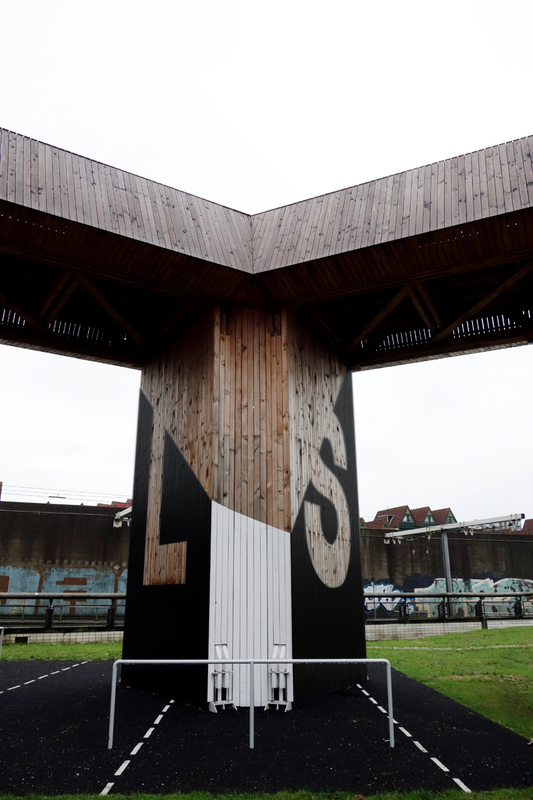 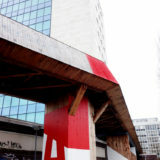 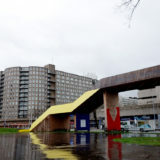 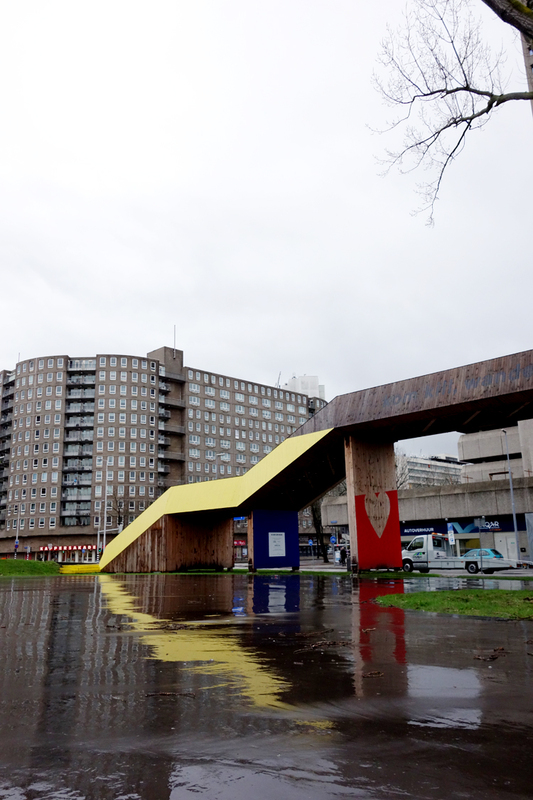 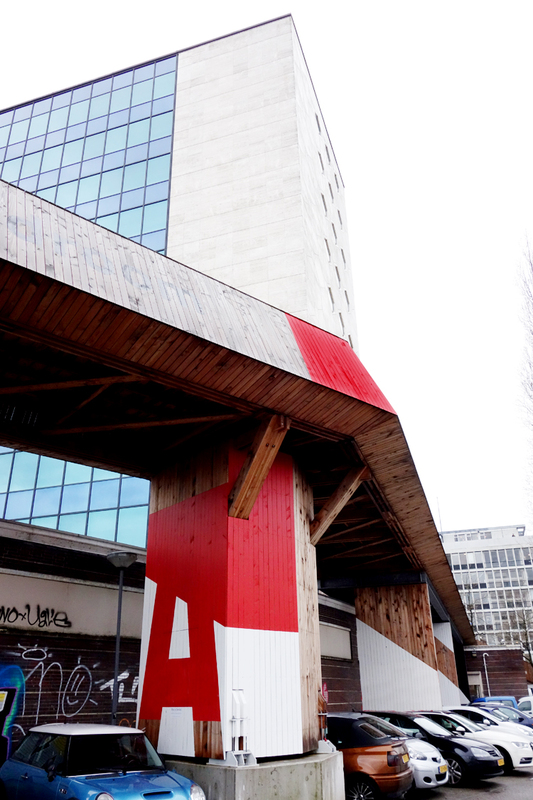 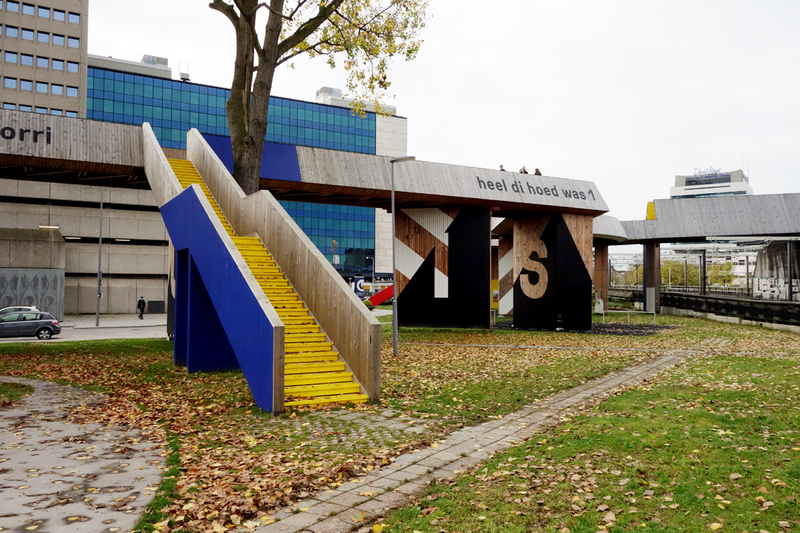 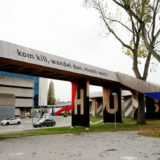 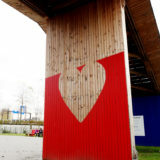 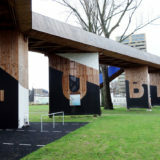 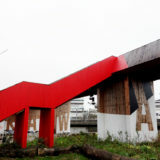 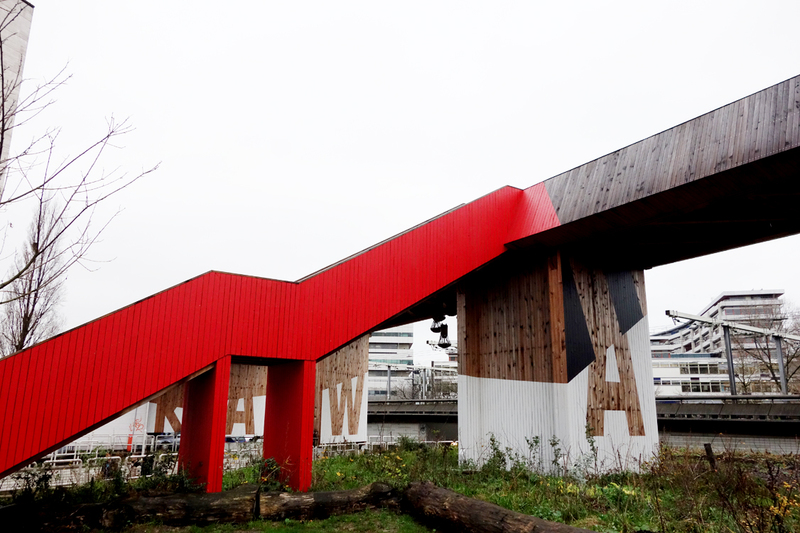 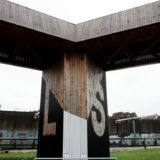 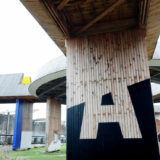 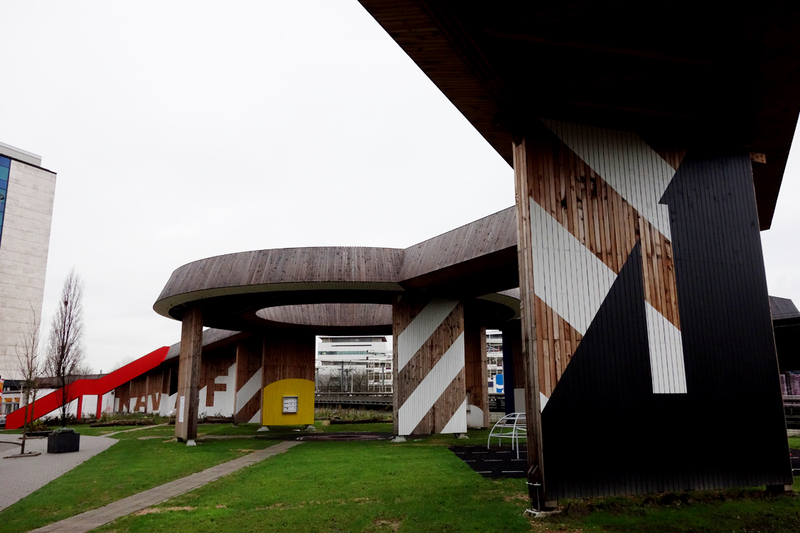 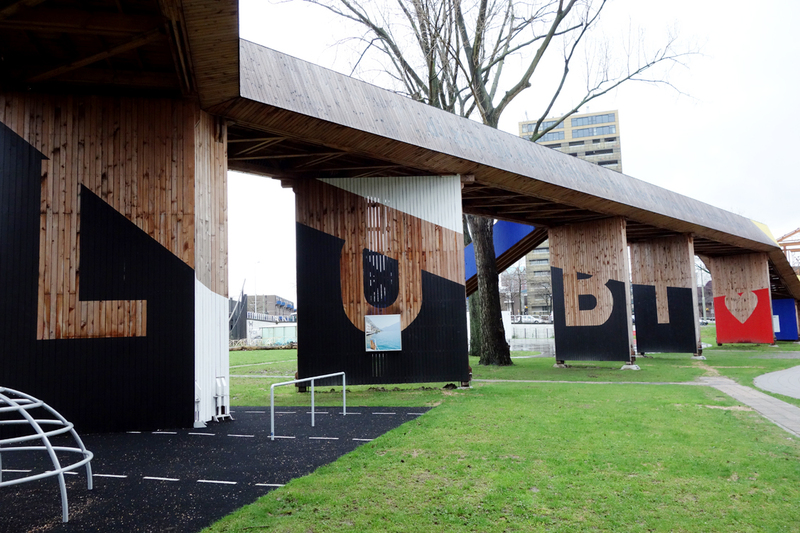 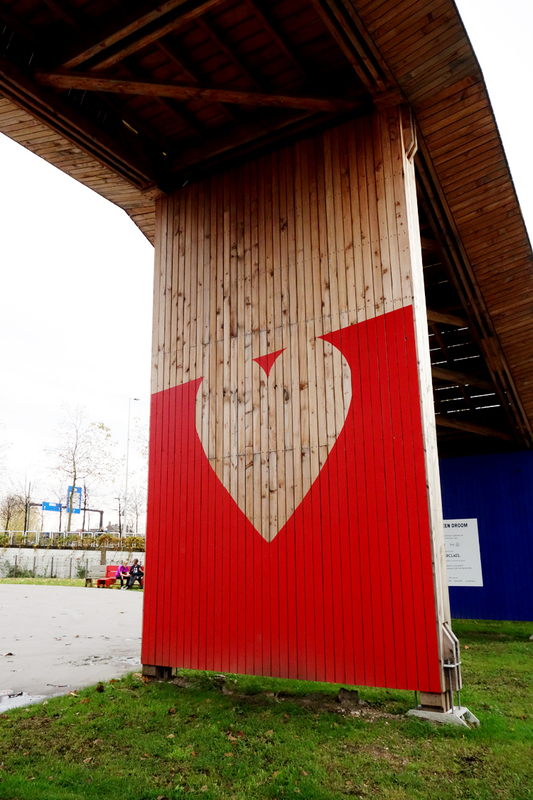 The impressive wooden pedestrian bridge, measuring more than 300 meters, located in central Rotterdam designed by ZUS got a complete graphic painting to make it an even nicer project. 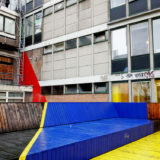 Together with Opperclaes en Studio Brit van Nerven we came up with a design that we then applied on the bridge and surrounding buildings and objects. 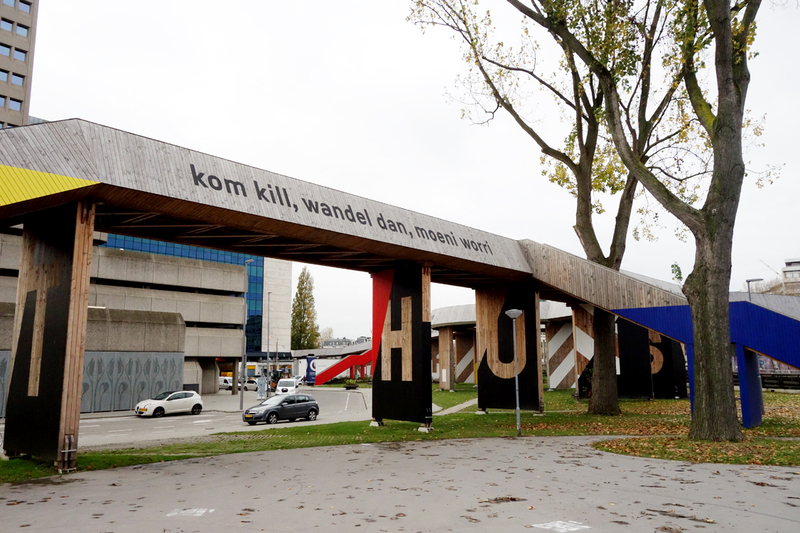 All the texts we’ve used came from the poem ‘Mi have een droom’ by Ramsey Nasr.